The Sodshow Garden Podcast – every Friday – in iTunes, www.sodshow.com all good podcast stores. Dublin’s Only Garden Radio Show. The SodShow – with Peter Donegan & Brian Greene – Every Friday @ 3pm. 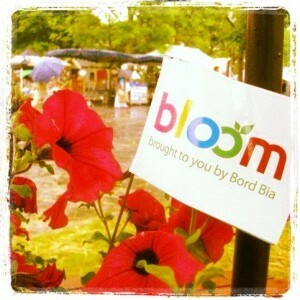 ….we meet with Gary Graham the brains behind Ireland’s premier garden show, Bloom In The Park. With a little under a week to go and set to take take place in The Phoenix Park this June Bank Holiday weekend May 31st – 4th June 2012, we get an insight into the behind the scenes of show garden building, just what you can expect to see and Gary’s advice on the best way to see this years garden festival. All this and so much more on Dublin’s only garden radio show. The SodShow is brought to you by GreenSax, The compostable bags for home and garden.